"It's Better in the Bahamas" is the well-known slogan for the Government of the Bahamas. It's also going to be more expensive for cruise ships to call there starting October 1, 2010. When the Government of the Bahamas looked at their 2010-11 budget needs, it was clear that some additional revenue was necessary. One of the ways they decided to meet their budgetary needs was to increase the so-called "head tax" (air and sea departure tax) from $15 to $20. The increase for the airlines is effective July 1st and the cruise line increase is effective October 1st. Norwegian Cruise Line (NCL) makes several calls in the Bahamas each sailing season. NCL has notified passengers, on sailings on or after October 1st, that they will automatically add $3 per guest (age 6 and above) to all reservations that are currently not paid in full and will resend a confirmation showing the new balance due. In the event of cruise cancellation, this tax, like any other Government Taxes and Fees (GTF), is fully refundable. Norwegian Cruise Line is required by law to collect this from ALL guests and acts only as an agent of the Bahamian Government in collecting the tax. 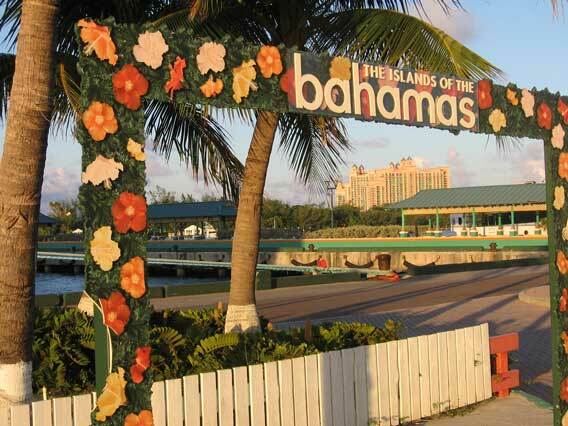 In May, 2008, the Bahamian Minister of Tourism estimated that more than $22M in tourism revenue would be generated from the head tax and increased passenger spend in the Bahamas. He said: "The Bahamas is now in a position to earn between July 2008 and December 2009 some $22 million dollars in terms of passenger spend, with Norwegian Sky generating almost 50 per cent of this amount," said Mr. Grant at a press briefing at the Lucayan Harbour. 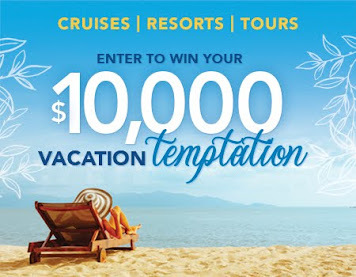 NCL isn't the only cruise line serving the Bahamas. When the increase was announced, Carnival Corporation, who operates three lines (Carnival Cruise Line, Holland America Line, and Princess Cruises) that call in the Bahamas, estimated that the increased tax would generate $9.2M for the government. Since NCL is only adding $3 per guest, it appears that there was a negotiated deal between the cruise line and the Government of Bahamas since the tax was announced. In this economy governments are looking for ways to increase their coffers and an increase in head tax is one way to achieve that goal. This may become the new replacement for fuel surcharges we saw in recent years. It is just another cost that is being past along to the consumer. Elsewhere, Royal Caribbean has squared off against Rockland, Maine's City Council who recently voted to increase the head tax fee for large cruise ships from $1 per passenger to $6. Last fall, Royal Caribbean's 2,504-passenger Jewel of the Seas called in Rockland and is scheduled to call there again this October. "We believe the 600% increase to the passenger fee is excessive and ill-timed given current economic conditions," the cruise line said in a statement. "We are also concerned by the short notice of the increase. Cruise line operators, including Royal Caribbean, plan port calls 24 months in advance and begin selling these cruises to guests 12 to 18 months in advance. We strive to mitigate costs that jeopardize any financial hardships to our guests, but an increase such as this will have a negative impact. "We feel that the fee increase should be rescinded and tariffs reset to their previous levels," the statement concluded. Rockland councilmen haven't taken the remarks too kindly, and aren't planning to rescind the fee at this time. We'll continue to watch this developing story. So you see, there is a price on your head in the Bahamas and elsewhere. Even with these added head taxes, a cruise vacation is still a good value. Even if you were to fly to the Bahamas, you'd still be subject to the increased fee. I would hope that this wouldn't alter your travel plans, but be aware that there may be changes to your cruise cost to cover the mandatory fees. New passport fees for the U.S. Passport Book, the U.S. Passport Card, and other passport services will be in effect on Tuesday, July 13, 2010. There is still time to get a passport or renew your existing one before the new prices take effect. We strongly advise all cruise line passengers carry a valid passport on all cruises, even if the destination ports allow for other forms of identification. There is always the possibility of unexpected air travel which has higher requirements than for a closed-loop cruise for example. See our International Travel tab for passport and visa information as well as Tips for Traveling Abroad and Travel Warnings, Country Specific Information & Travel Alerts. There are two components that you must consider when determining the proper documentation required for an upcoming trip: the requirements to re-enter the United States and the entry requirements of the countries being visited on your cruise or other vacation. Important Note: Passports must be valid for 6 months from the end of your trip, so be sure to check expiration dates and allow sufficient time for processing renewals. Azamara Club Cruises announced their 2011-12 program which includes 37 brand new ports. In addition, now through the end of this year, you can take advantage of the special savings listed here. • April 2011 - March 2012 New! 174 ports of call in Europe, the Mediterranean, Asia and South America. More destinations to live. More experiences to remember forever. • Almost 60% of the port visits in 2011 - 2012 are late night stays. There's no need to get back to the ship just when the evening gets started. 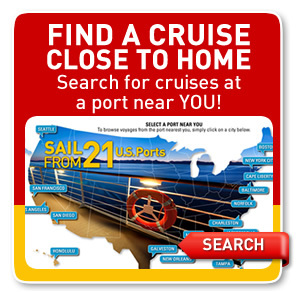 • 22% of the ports in 2011 - 2012 offer overnight stays. Stay out later. Live more of the local scene. Princess Cruises has just made it easier to complete air travel arrangements for your cruise vacation. 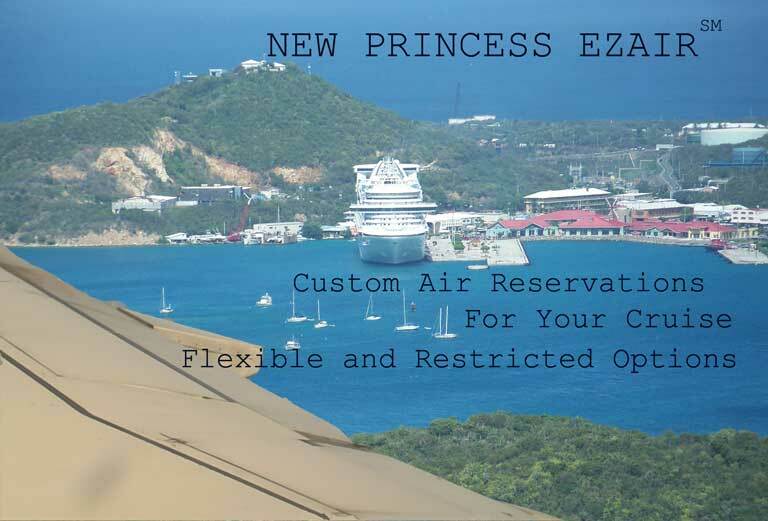 eZAir is a completely redesigned air program, available to Princess Travel Partners, that adds greater flexibility and choice to the process of booking flights to go with a cruise. When booking, available flights can be reviewed in real time and the desired air schedule and carrier can be chosen at time of booking. Previously, cruise line air was a set price and flight details were given later. If you selected the cruise line air, you either had to accept whatever was selected for you or pay an additional fee to use custom air. Passengers often opted to purchase independent air simply because they were in control of the flight schedule. Princess Cruises has eliminated fees to customize air. Only the flight schedules that work with the cruise itinerary are offered. This new tool makes selecting flights easy and allows you to be in control of your schedule. Your cruise specialist now has access to publicly-available flights and fares, in addition to Princess contracted air, that work with the cruise itinerary. Flights are available to book between 330 days prior to the end of the vacation and 4 days prior to the cruise (subject to availability). eZAir offers two different air options – Flexible and Restricted -- depending on the certainty of the travel plans. The Flexible plan allows passengers to cancel or modify their reservation with no charges until 45 days prior to the first flight, while the Restricted option offers the benefit of a typically less expensive fare for those travelers who are comfortable with cancellation and change restrictions and fees. Both fare options may be viewed side by side, to easily make the best choice for the vacation schedule. Perhaps the most exciting feature of the new program is Next Port Protection, which is included with both Flexible and Restricted Air. 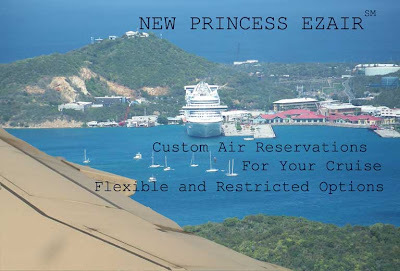 If there is an airline delay that causes you to miss embarkation, Princess routes travelers to the next appropriate port of call at no extra air cost to the passenger! The first Tropical Depression of the 2010 Atlantic Hurricane Season became the first named Tropical Storm and is forecast to become the first Hurricane most likely before the end of Tuesday, June 29th. When we began tracking Alex, there were three active storms. The two storms in the East Pacific, Hurricane Celia and Hurricane Darby became TS Celia and TS Darby and are no longer threats. ARE EXPECTED SOMEWHERE WITHIN THE WARNING AREA WITHIN 36 HOURS. THE CENTER CROSSES THE COASTLINE. ARE SPREADING ONSHORE IN NORTHEASTERN MEXICO AND SOUTHERN TEXAS. SOUTHERN TEXAS TODAY AND TONIGHT. 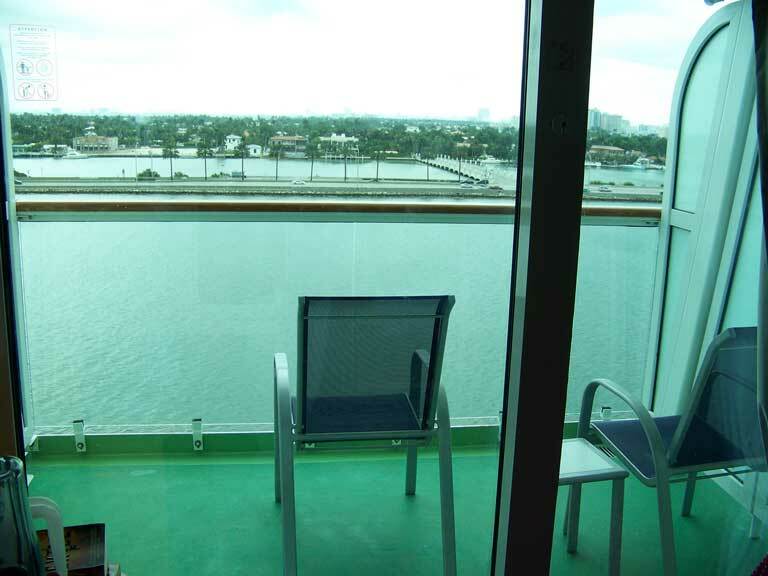 Carnival Legend departed Sunday on a 7-night Western Caribbean that includes Honduras and Belize. Based on the itinerary and the storms predicted path, there shouldn't be any changes to that cruise, but we will monitor this developing storm. 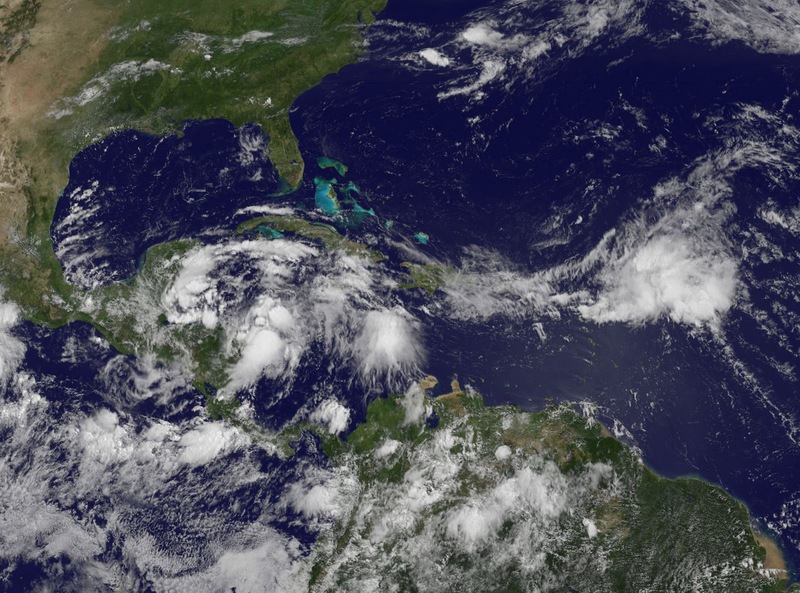 (26 JUN) Tropical Depression ONE has formed into the first named storm of the Atlantic 2010 Hurricane Season. We began watching this storm last night and it has become Tropical Storm Alex overnight. It is currently 320 miles east of Belize. On the current track, the storm is expected to reach the Yucatan Peninsula later today. Galveston, Texas will become the new home for Carnival Cruise Lines' new ship, Carnival Magic. 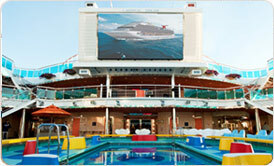 Beginning November 14, 2011, Carnival Magic will operate 7-night Caribbean cruises from it's new homeport. The Carnival Dream and Magic are the largest ships in Carnival's fleet so it is fitting that one of those two ships will be sailing from Texas. Select from two different itineraries: a seven-day Western Caribbean voyage to Montego Bay, Grand Cayman and Cozumel, and a week-long Eastern Caribbean cruise to Nassau, Freeport, and Key West. Like its sister ship, the Carnival Dream, the Carnival Magic features exciting amenities including a spectacular water park, an exclusive adults-only retreat, a wrap-around promenade with whirlpools that extend out over the ship's sides, and expansive spa and children's facilities. Carnival Magic has a range of stateroom choices, including family-friendly, five-berth deluxe two-bathroom ocean view accommodations; cove balcony cabins located closer to the water line; and special spa staterooms. Some special unique features will be announced in the future. The Carnival Magic will debut in Europe in May 2011, offering seven-, nine- and 12-day Mediterranean voyages from Barcelona May 1 to October 16, 2011; followed by a 16-day trans-Atlantic crossing from Barcelona to Galveston departing October 28, 2011. 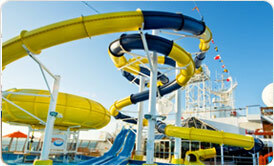 For more information about Carnival Magic Itineraries, click here. Perhaps you are close enough to drive to Galveston instead of flying there. If so, the addition of this new large ship will give you opportunities to sail to the Eastern and Western Caribbean from close to home. Tropical Storm Darby is the fourth named storm of the East Pacific 2010 Hurricane Season. Darby is approaching hurricane strength and is predicted to become the second hurricane of the season. 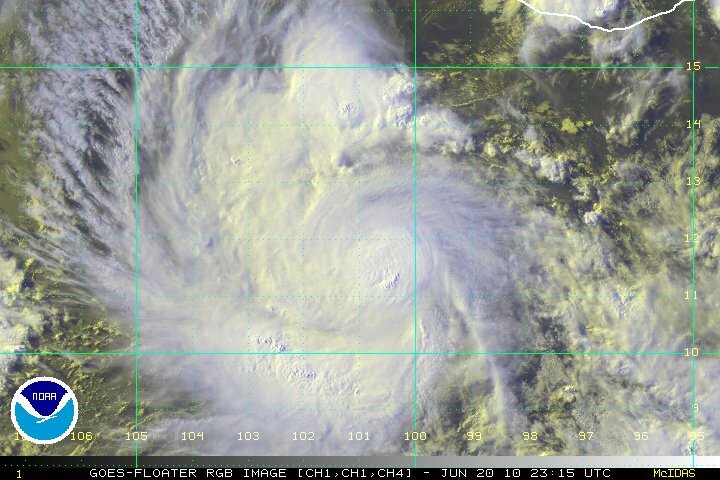 The tropical storm is currently 295 miles SSW of Salina Cruz Mexico. On the current track, Darby is expected to remain south of the Mexican coast for the next two days. For complete up to the minute information on this developing storm, click on the RSS feeds in the left navigation pane of this blog. We will provide updates periodically as conditions warrant. Tropical Storm Celia has strengthened into the first Hurricane of the East Pacific 2010 Hurricane Season. Celia is currently a Category One Hurricane with additional strengthening forecast. It is heading west away from land, so it doesn't pose any immediate threat to Mexico, which is the nearest land. Historical:  MAXIMUM SUSTAINED WINDS WERE NEAR 160 MPH..
TODAY...WITH GRADUAL WEAKENING EXPECTED TO BEGIN ON SUNDAY. Do you remember your first car when the dealer handed over the keys to you? You opened the door and smelled that new car smell - you were in heaven. If you were in St. Nazaire, France on June 17, 2010, you would have witnessed a similar event but on a much grander scale. Norwegian Cruise Line today accepted delivery of its largest and most innovative ship to date, Norwegian Epic, from STX FRANCE SA. Norwegian Epic at 153,000 gross tons is the largest ship ever constructed in St. Nazaire and therefore represents a major milestone for STX. June 19 - travel agents & media - two-day inaugural cruise. Beginning July 10, Norwegian Epic will sail alternating seven-day Eastern and Western Caribbean itineraries from Miami through April 30, 2011. Ports of call on the Eastern Caribbean itinerary include Philipsburg, St. Maarten; St. Thomas, US Virgin Islands; and Nassau, Bahamas. The Western Caribbean cruises visit Costa Maya, Mexico; Roatán, Bay Islands, Honduras; and Cozumel, Mexico. 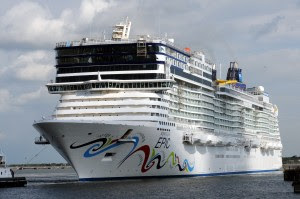 The 2011 cruise season from May-October will have Norwegian Epic sailing a series of seven-day Western Mediterranean cruises from Barcelona. When she returns to Miami on November 5, 2011, she will sail a series of seven-day Eastern Caribbean cruises through April 7, 2012. 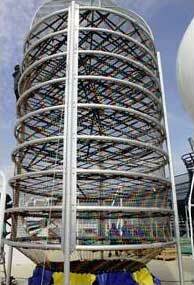 We will be onboard Norwegian Epic for our 2010 National Conference. We are looking forward to sailing on this latest ship in Norwegian Cruise Line's fleet. We begin our coverage of this tropical storm in its early stages of development. Based on the current predictions, it appears that the storm will strengthen over the next few days and become a named storm. NHC issuing advisories on TD TWO-E. Nothing says escape like the warm, welcoming islands of the turquoise Caribbean and the colorful culture of the Mexican Riviera. Princess® has a variety of festive voyages sailing the Caribbean on five ships in 2011 and 2012, visiting over 20 of the region’s very best ports. Frolic on white sand beaches and swim above coral reefs on islands such as St. Thomas, Antigua and Tortola. Or cruise to festive Mexican ports like Cabo San Lucas, Mazatlán and Puerto Vallarta. It’s a modern wonder winding through 51 miles of jungle, mountain and granite to connect the world’s two greatest oceans - The Panama Canal. It’s also one of the most popular destinations for cruising, and is high on most travelers’ lists of the world’s “must-see” landmarks. Which is why Princess offers such a wide variety of ways to experience the Canal. In 2011 and 2012, you can join one of several incredible Princess itineraries to see its mighty locks up close. Choose voyages from 10 to 19 days with either partial or full transit or with a 2-Day Experience. Getaways of 1 to 7 days along the Pacific Coast are a wonderful, relaxing way to escape for those with less time. These convenient sailings are offered in 2011 and 2012 on four ships, including Island, Coral, Golden and Sapphire Princess,® and include our popular 7-day Wine Country Coastal sailing, a 7-day California Coastal roundtrip from Los Angeles and 1- to 4-day Pacific Coastals. It’s the perfect easy getaway to leave your responsibilities behind and enjoy all the leisurely activities, entertainment and amenities of a Princess® ship. Caribbean: Five ships with 12 itineraries visiting over 20 sun-kissed ports; sailings range from 7 to 14 days. Crown Princess sails a NEW 7-day Western Caribbean and a NEW 7-day Southern Caribbean itinerary, both roundtrip out of Ft. Lauderdale. 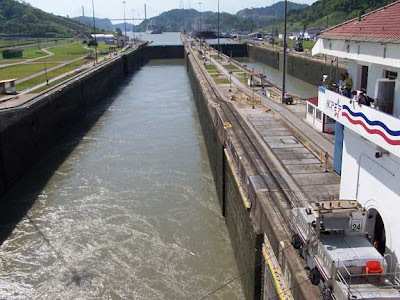 Panama Canal: Princess is the best choice for Panama Canal cruising with five itinerary options in all, including two NEW 14-day options -- one with a full transit and one with a full transit and a 2-Day Canal Experience. Plus, there are 10-day partial transits and full transits on sailings of 15 to 19 days. Mexican Riviera: Sapphire Princess offers 11 sailings of our popular 7-day itinerary roundtrip from Los Angeles, featuring festive Cabo San Lucas, Puerto Vallarta and Mazatlán. West Coast Cruising: Sapphire Princess sails NEW 7-day California Coastals, roundtrip from Los Angeles. Additional coastal cruises include our popular Wine Country 7-day cruise from Los Angeles to Vancouver. 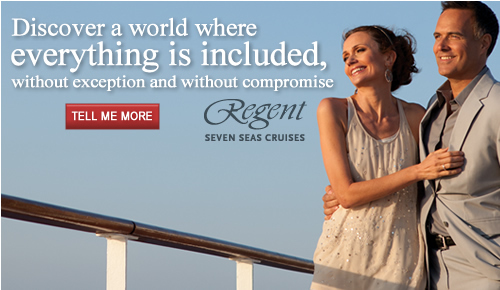 We also have a selection of additional 1- to 5-day coastal getaways available on select ships. 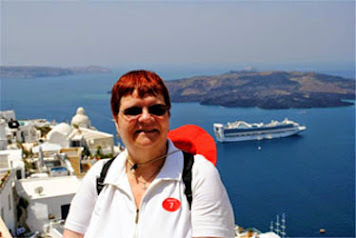 2012: 107-day World Cruise from Ft. Lauderdale to Venice. Experience the world’s treasured places on this magnificent sailing on Pacific Princess.® You’ll transit the Panama Canal, sail through the South Pacific, cruise New Zealand’s Fiordland National Park — a UNESCO World Heritage Site — and visit Australia’s Great Barrier Reef. Ahead lies even more, from ports like vibrant Hong Kong and dazzling Phuket to bustling Mumbai and thrilling Cairo, Egypt. You’ll visit some 40 destinations with maiden calls in Santa Marta (Colombia), Puerto Quepos (Costa Rica) and Manama (Bahrain) before your voyage ends in Venice. You can see even more with overland tours to such places as Cambodia’s Angkor Wat, China’s Great Wall and Ayers Rock in Australia. 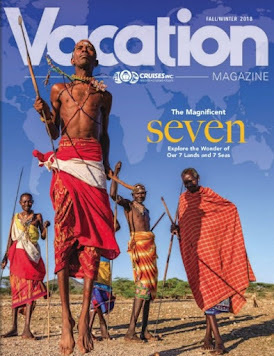 Maiden calls highlight 2012 World Cruise. 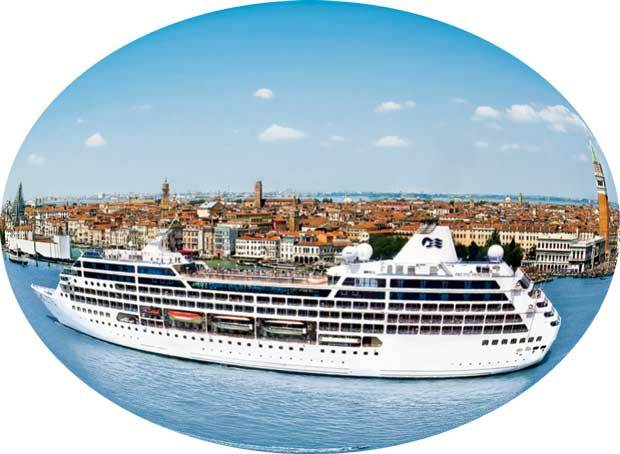 Santa Marta (Colombia), Puerto Quepos (Costa Rica) and Manama (Bahrain) are included among the 38 destinations on the 2012 World Cruise sailing from Ft. Lauderdale to Venice. The 2-Day Experience. Overnight stays in Sydney, Hong Kong and Dubai give passengers ample time to explore these spectacular destinations. Segment voyages. Passengers can choose from segments ranging between 15 to 32 days for a taste of the world cruising experience. Choose from Ft. Lauderdale to San Diego, San Diego to Sydney, Sydney to Singapore, or Singapore to Venice. The first segment of the 2012 World Cruise begins in Ft. Lauderdale on January 13th. There are special discounts and reduced deposits for past passengers of Princess Cruises. 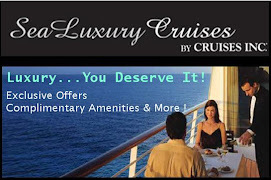 For more information about Pacific Princess, click here. 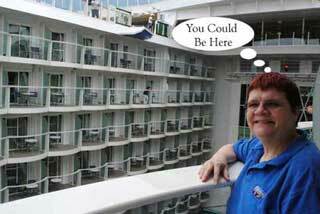 And, don't forget, the 2011 World Cruise on Dawn Princess is already open for booking. The Aussie Experience awaits on this 104-day World Cruise, with 43 intriguing destinations, including Morocco, Singapore, Dubai and others. As discussed in previous blog post Keeping Cruise Ship Passengers Safe, there are several safety measures in place today which were implemented by the cruise industry. Legislators have been reviewing the existing measures and believe there is room for improvement. The U.S. Senate has unanimously passed legislation by Senator John Kerry (D-Mass.) 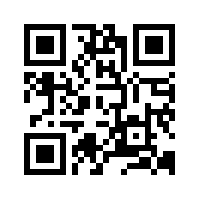 to increase security, law enforcement, and accountability on cruise ships in international waters. “This legislation brings greater consistency and clarification to many industry practices and existing regulations, including a longstanding federal requirement to report to the FBI allegations of serious crimes occurring in U.S. waters or involving a U.S. national anywhere in the world. The legislation also establishes additional safety provisions,” CLIA said. For more information, visit www.cruising.org or www.cruiseIndustryfacts.com.